Our best reunion to date! The El Tropicano Hotel was very accommodating and met all of our needs. Friday morning we boarded a coach bus for Lackland AFB. We were met by a base public affairs representative and started our base tour walking among the many Air Force aircraft on static display. We then we were off to the base museum, followed by a riding window tour of the base. After the base tour many of us decided to visit downtown San Antonio before returning to the hotel. Friday afternoon, Texas State Veterans representative and Vietnam veteran Arthur Swezey talked to us about VA benefits. He also answered many of our questions. Friday evening we were all invited to a complimentary buffet dinner at the oldest VFW Post (76) in the state of Texas, only walking distance from our hotel. Post Commander Albert Mireles, his members and the Ladies auxiliary who greeted each of us at the door and later served us dinner and drinks. After dinner and some dancing that evening the 14th was greeted by entertainer Vikki Carr who thanked us for our service. Saturday morning the battalion officers and directors met followed by our biennial general membership meeting. 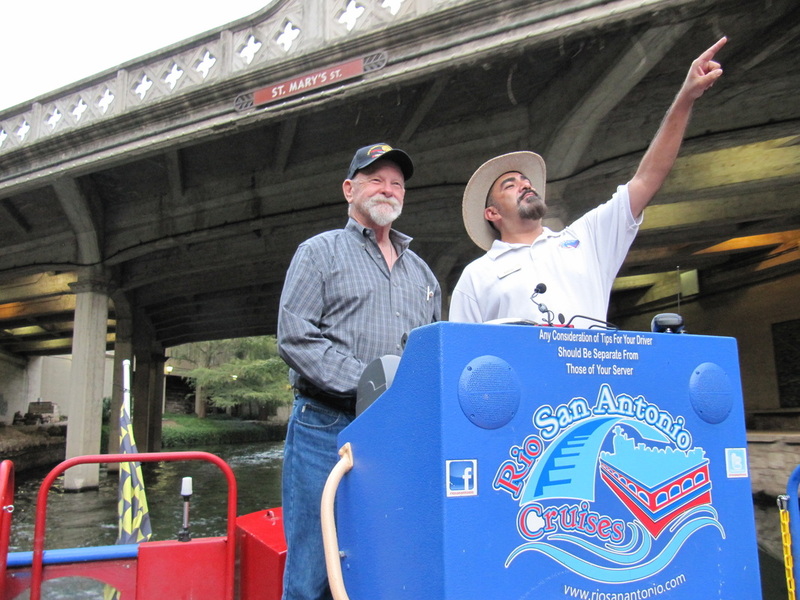 During and after the meeting, the association had reserved two 40 passenger riverboats to tour downtown San Antonio round trip from the hotel. We tried to reserve a third boat, but none were available. 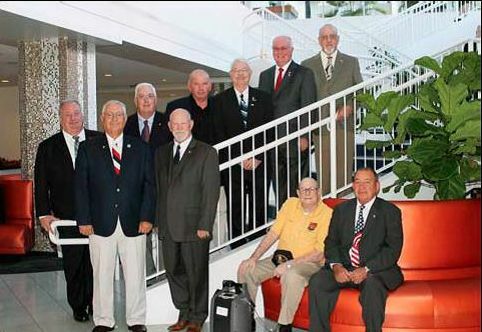 Members voted to have our next reunion in the Williamsburg, Virginia area, close to Norfolk navy base and Fort Eustis. 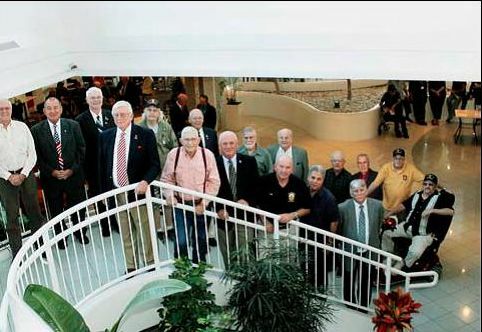 Late Saturday afternoon we gathered together for battalion, company and guest photos in the main lobby of the hotel. By now those of you who ordered reunion memory books should have them. 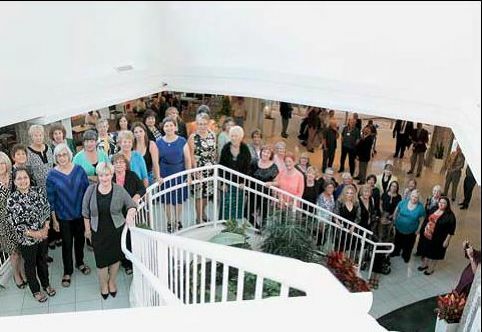 Immediately following photos, we proceeded to the main banquet room, all 136 of us. We were greeted by a serenading Mariachi Band. Social hour with drinks and appetizer’s, preceded the dinner. Invocation was given by veteran and Minister Russell Planck. Then our president Tom Myles welcomed all and introduced our very special guest speaker retired Colonel J.E.B. Stuart IV a Vietnam veteran and great grandson of confederate General J.E.B. Stuart. Afterward the DJ entertained us for the rest of the evening. 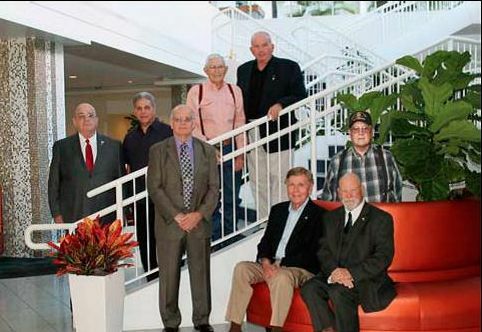 Thank you, officers, directors and members for making our 5th biennial reunion a great success. 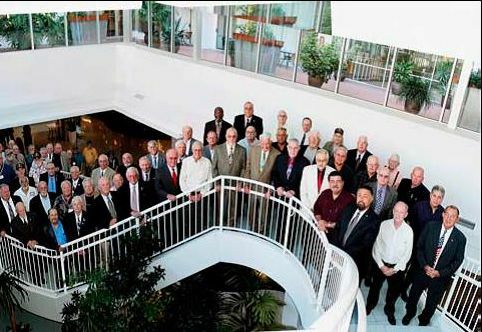 See you all in Virginia for our 6th reunion in late 2016. 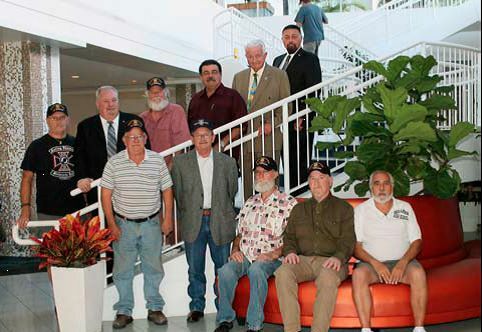 2014 5th Bi-Annual Reunion Memories, San Antonio. 14th Association President, Tom Myles at the helm of the reunion and leading us forward. 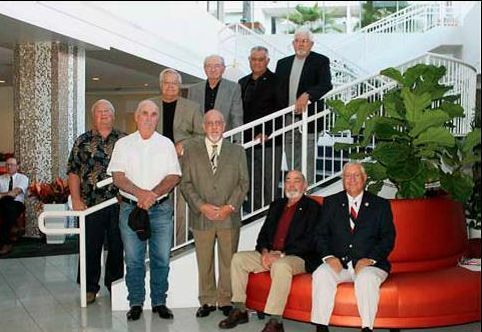 Stairs LR: Ken Gurbisz, Tom Peterson, Dan Quackenbush, Dan Sippel, Wayne Gallant, Ralph Frank. Front LR: Vice President Frank Ferry, President Tom Myles, James Womble, Treasurer Benny Aleman. Stairs LR: Gary Alcorn. Daniel Huston, Richard Bova, Jim Dileman, Dan Quackenbush. Front LR: Unknown, Guest J.E.B. Stuart, Tom Miles, Back: Unknown. 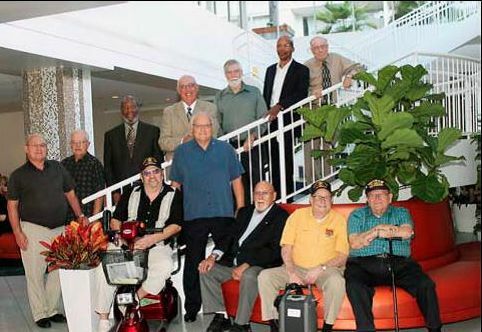 Back Row: Rip Kirby, Benny Alemen, Dan Sippel, Gerald Wack, Amore Miller, Terry Davids, Darius Kicks, Lyle Morris, Billy Nash, James Womble, Cliff Cavitt. Front Row LR: Mile Hull, Jim Dikeman John Lawrence, Dan Quackenbuch, Richard Bova, Leonard Atkinson. Stairs LR: Carl Woods, Tom Peterson, James Kelly, Michael Boone. Front LR: Philip Roscher,Gerald Fields, Amore Miller. Stairs LR: Barry Amole, Leonard Atkinson, Wayne Gallant. Front LR: Russell McKnire, Gary Hinz, Craig Correll, Oscar Lopez. 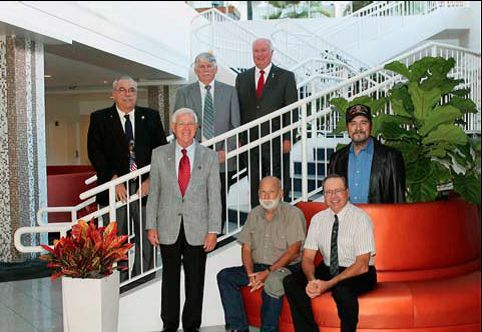 Stairs LR: Tim McElhinney, Ron Sandlin, John Drew, Arthur Bowdoin, Don Mirrit, Dansippel. Front LR: Robert Hays, John Souzza. Front LR: Tim Heal, Ralph Frank, Cecil Keith, Frank Ferry. 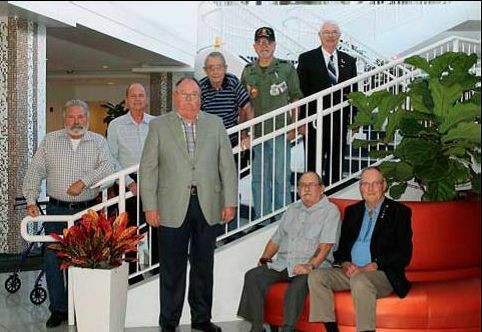 Stairs LR: Jim Wilson, Ken Gurbisz, John Griffin, Hernan Jaso, Dan Madish, Gary Jones. Front LR: Joe Shuler, David Gutherie, Jim Baker, Bobby Guinn, Sal Mezzepella. 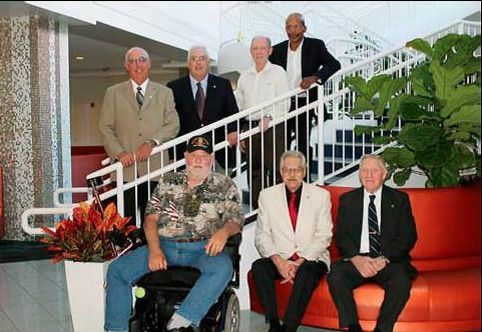 Stairs LR: Dale Thomsen, Lyle Morris, Roy McCormes, Carl Woods, Terry Davids, Michael Boone, Terry Knight. Recognition of Officers, Directors, and Guest Speaker.